2013 was full of great wildlife adventures here at Travel For Wildlife. 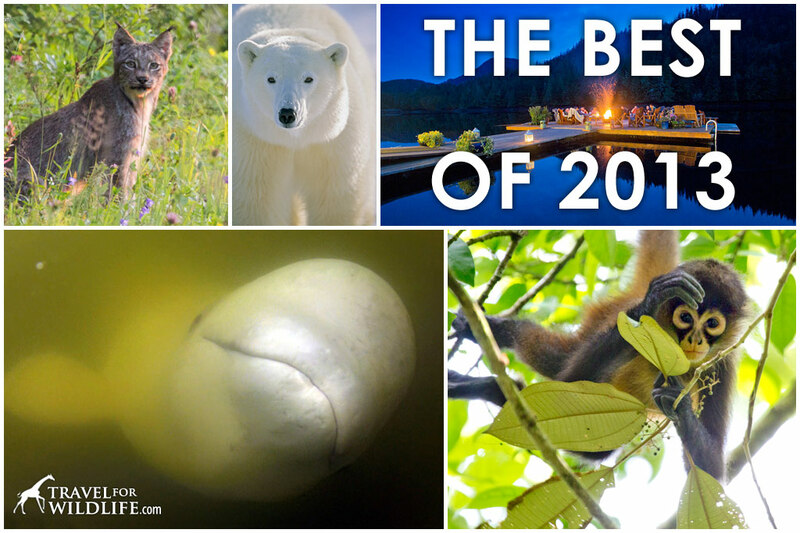 So we came up with a list of our favorite experiences of the year: the best animals, the best places to see them, and the people and businesses who are working hard to make this a better planet for wildlife. Welcome to the Oscars of wildlife travel! I have never had such an incredible wildlife adventure. Ever. Snorkeling with beluga whales in northern Manitoba was the inspiration for the entire American Safari this year, and the long drive (and the cold water) were well worth it. We were very lucky that our tour guide used the technique of towing us behind the zodiac with a rope. Belugas love it! We held onto the ropes and faced backward, allowing the belugas to follow us and swim with us face to face. 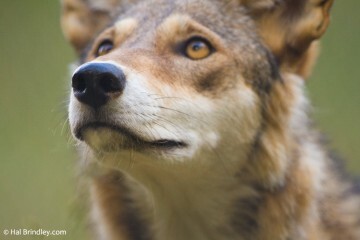 They were very curious and dozens of them checked us out and talked to us with a wide range of sounds. For some reason they loved it when I sang the Dexter theme song and seemed to respond well to my high-pitched voice. I was having a conversation with a beluga whale and I didn’t even know what I was saying! Different belugas kept getting closer and closer to check me out. They got so trusting they even brought their little babies over to see me. “Thank you for showing me your baby!”, “Thank you, Thank you!” I told them repeatedly through my snorkel while emotional tears started to blur my vision. I was crying underwater! It was a very emotional moment for me. Here’s a video Hal made of our incredible experience. What if I told you there was an aquarium that released all of its animals back into the sea every year? Welcome to Ucluelet Aquarium in British Columbia, Canada! Each spring the staff collect all their specimens from the nearby waters off the coast of Vancouver Island, and every fall (with the help of local school children) they release them all back into the waters they came from. Kudos to the team at Ucluelet Aquarium for creating a great educational facility and putting animal welfare first. 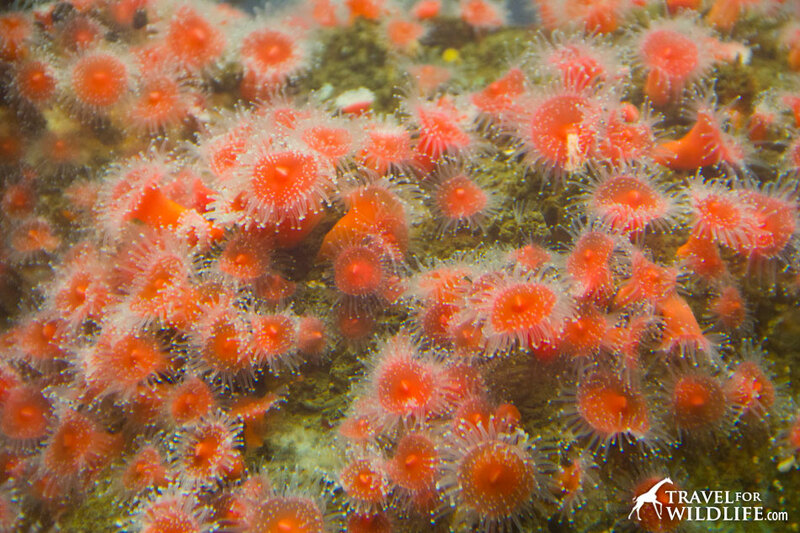 Strawberry anemones reproduce by splitting their bodies in half. This group could be a colony of just one individual! Never in a million years did we think we would see a fisher. 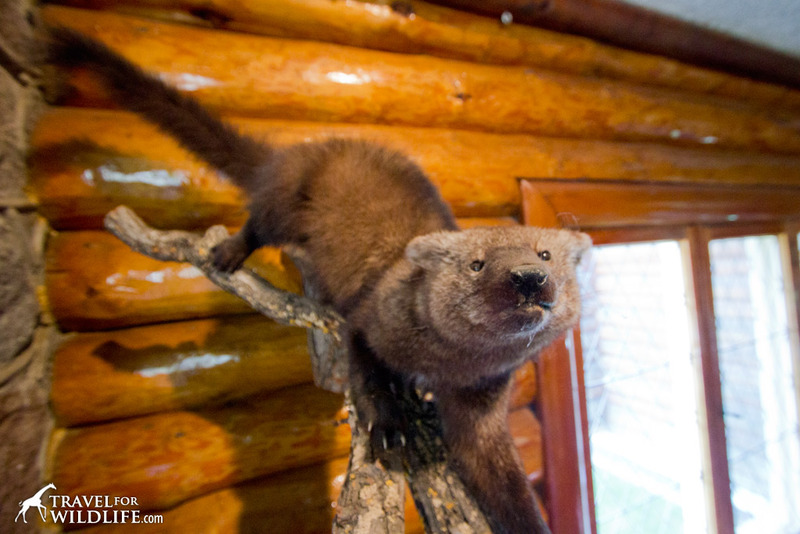 This mammal, a member of the mustelid family (weasels), lives mainly in the boreal forests of Canada and has crepuscular habits. 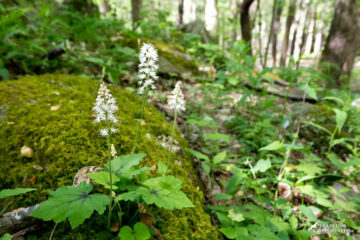 They are great climbers but spend most of their time foraging on the forest floor. This is a rare animal and difficult to spot in the daytime, yet we were lucky enough to have one cross the road in front of our car at 3 in the afternoon! Laying eyes on a wild cat in North America is very difficult. 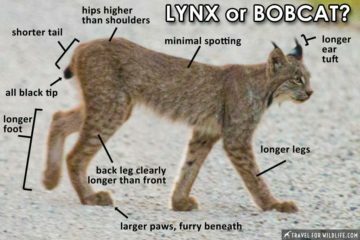 And we couldn’t believe our eyes when we spotted a lynx right by the side of the road in Riding Mountain National Park, Manitoba. We watched him for over an hour while he was attempting to hunt birds. 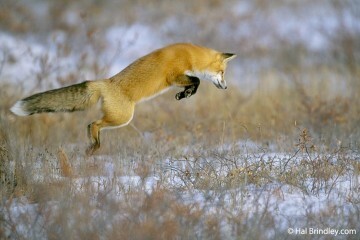 It was Hal’s first cat sighting ever in North America and we were astonished to see how far he could jump! Check out the video we made of this beautiful cat. It is not every day that you meet someone like Jefferson Bray. To him, bears and their habitat come first. In a province where grizzly hunting is a very delicate matter (BC wants to increase the quota on bear trophy hunting) he is not afraid to speak up on behalf of the bears. 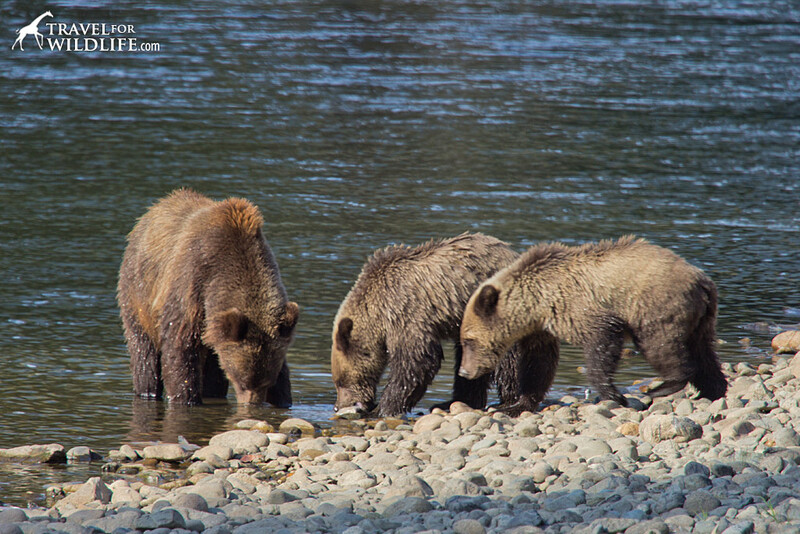 Jefferson is a member of the Commercial Bear Viewing Association, the members of which have established the Best Management Practices and Code of Conduct for the bear viewing industry in BC. They believe in minimal impact on bears and coexistence. 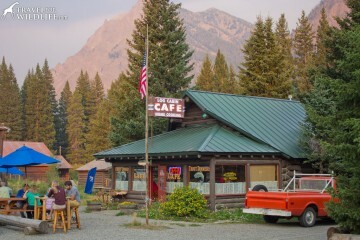 Jefferson is the owner of the Great Bear Chalet in Tweedsmuir Provincial Park, BC. He has designed the chalet to have as little impact on the bears as possible, including minimizing the wildlife attractants on his property which can lead to bear/human conflicts. From his chalet he takes you on hikes to observe grizzlies. You may not have to hike too far as grizzlies visit his property regularly. It was on one of our hikes with Jefferson that we had an amazing encounter with a grizzly bear and her cub. 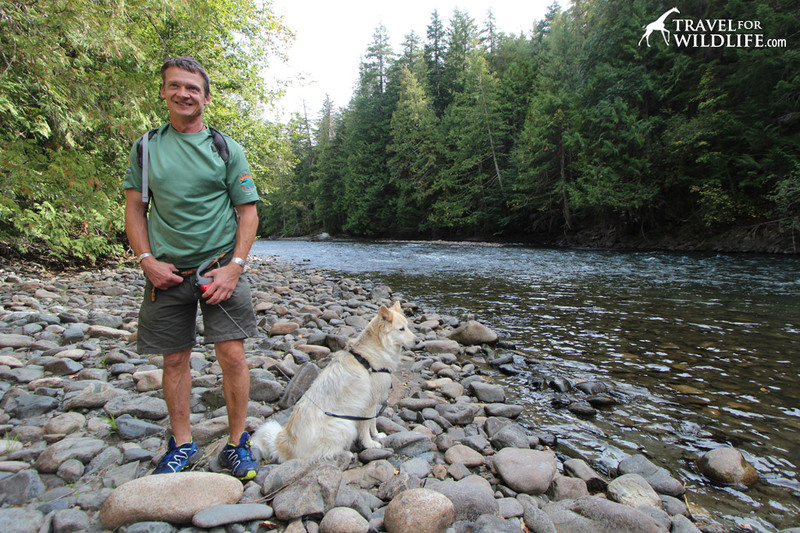 Jefferson Bray and his faithful bear-scout Bindi by the Atnarko River which runs in front of his lodge. Luna Lodge had me from the start. Perched on a hill in the lush Costa Rican jungle, this completely off the grid eco-lodge is a perfect place to start a hike to Corcovado NP. Spot toucans from your secluded hut and wake up to the sound of howler monkeys. Luna Lodge holds a Five Leaf Rating for Sustainable Tourism by the Costa Rican Tourism Board and is also a member of The Turtle Protection Committee and The White Hawk Project. We applaud Lana Wedmore for her many efforts to create a business that puts the Osa Peninsula’s wildlife and ecosystems first. Luna Lodge is one of Costa Rica’s sustainable lodges that will stay with you forever. Here’s a short video we shot of the tent-making bats that roost right next to the Luna Lodge. Fine dining, nudibranchs, a hot tub by a waterfall, black bears, whales, and helicopters. Nimmo Bay is a rare kind of lodge, a place that manages to deliver luxury comforts and rustic adventure, in the middle of a remote wilderness destination with minimal environmental impact. 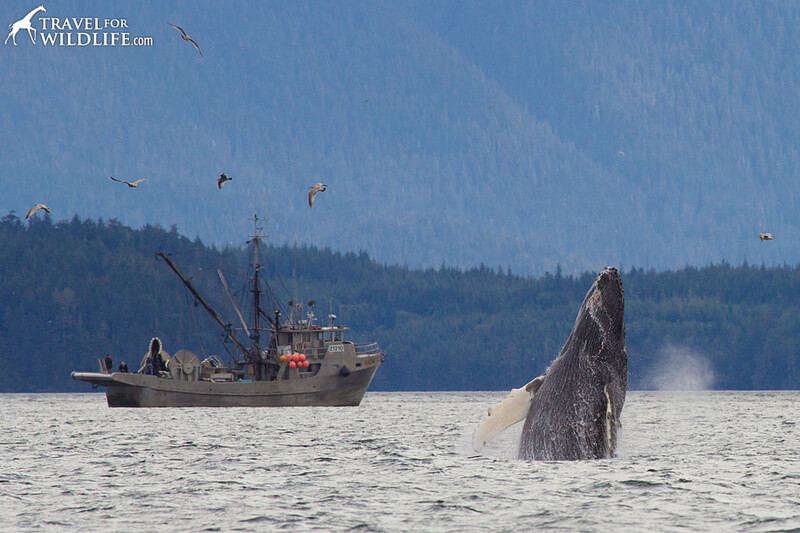 For many years we had dreamed of visiting the Great Bear Rainforest on the Pacific coast of British Columbia. At Nimmo Bay, these dreams came true. Frazer Murray, Nimmo’s owner, is one of the few people in the world who can get you out to see the Great Bear’s coastal wolves. And though we didn’t manage to see them during our visit, it was a thrill just to know they were there. We did see black bears, humpback whales, killer whales, harbor porpoises, steller sea lions, harbor seals, bald eagles, loads of spawning salmon, and a stunning array of invertebrate marine life. Our surprise favorites were the gigantic lion’s mane jellyfish, and the colorful, whimsical sea slugs known as nudibranchs. 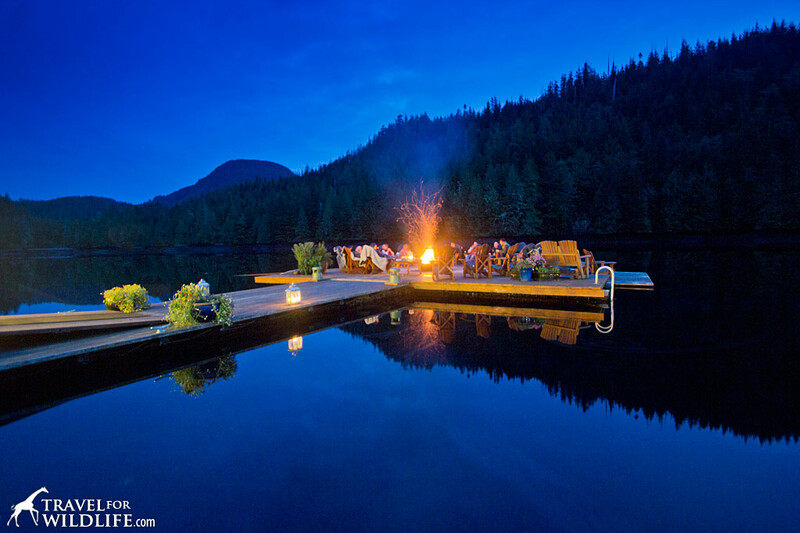 Read more in our review of Nimmo Bay Wilderness Resort. Costa Rica is packed with national parks but none can compare to Corcovado. It is the largest in the country, protecting roughly a third of the Osa Penisula, Costa Rica’s wildest corner. 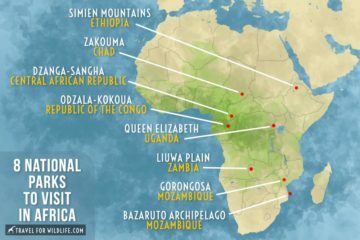 Tropical rainforests are rapidly vanishing from the world, and lowland coastal rainforests are the rarest of all because they are so easily accessed for logging. That’s what makes Corcovado special. This chunk of coastal tropical rainforest is large enough to support an incredible diversity of life, from endangered Harpy Eagles, to jaguars and tapirs. If you’re looking for the quintessential exotic Central American jungle, take a hike through Corcovado and make all your explorer fantasies come true. We only spent a few days in the park but it was certainly one of our highlights of the year. 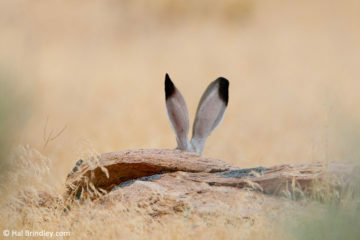 Here is a compilation of wildlife sightings during our brief visit. Tweedsmuir is a wild provincial park, and by wild I mean that the infrastructure is minimal. It is the largest park in all of British Columbia yet there is only a single paved road that crosses it. A campground with a few sites, a grizzly bear watching platform, and a couple of lodges are the only development. There are a few forestry side roads which you can explore by car or (preferably) on foot. And there are tons of grizzly bears. The salmon run was one of the most interesting things we witnessed. It was fascinating! And if you are very lucky, you may even spot a wolf. It is not easy to get to Tweedsmuir, but it’s definitely worth the drive. A great place to photograph and observe beavers, Duck Mountain is truly a special place. Tell a Manitoban that you love Duck Mountain and they’ll think you are weird. Because nobody goes there! (One of the reasons we loved it!) It has just the right level of development: a few well-maintained gravel roads for getting around, good campgrounds, a couple small shops for supplies, and even a canoe trail (wilderness canoe camping, anyone?) Wildlife love this corner of Manitoba as well; wolves, coyote, black bears and lynx coexist with tourists. 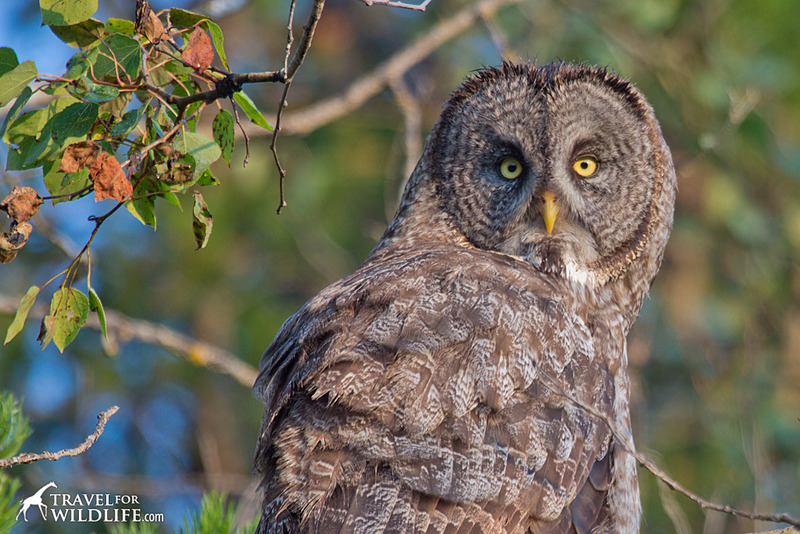 Our most memorable wildlife sighting was a pair of Great Gray Owls perched by the side of the road at dusk. 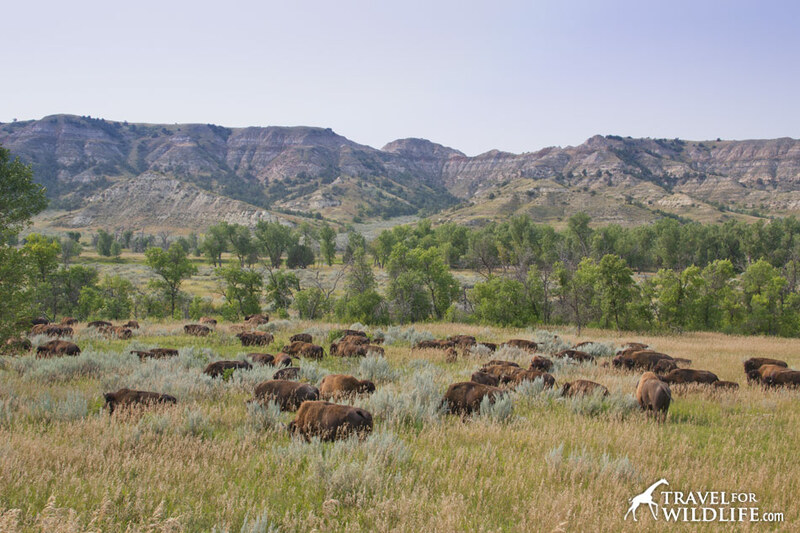 As you may have guessed from the results above, Manitoba Canada takes the honors as our favorite wildlife watching region of the year. No doubt about it. Even though the abundant mosquitoes tried to bleed us dry, Manitoba stole our hearts. We traveled thousands of miles across North America this year, from coast to coast and many places in between, but this Canadian province stood out as our surprise favorite. Where else can you swim with beluga whales, predictably watch polar bears, follow a hunting lynx, and sit with great gray owls? Only in Manitoba. Check out Travel Manitoba for more info. 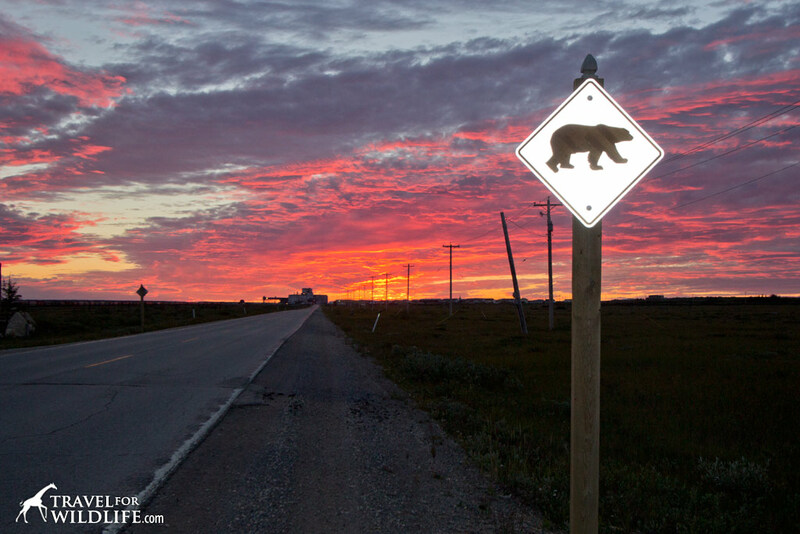 Where else but Manitoba can you see a polar bear crossing sign? We love you Manitoba! We hope to see you again very soon! Oh Vancouver Island is great for watching wildlife! Check out our article about this amazing island for some inspiration! We really loved Tweedsmuir. So wild and remote! Beautiful! Thanks Cristina – that got me started! Richard. 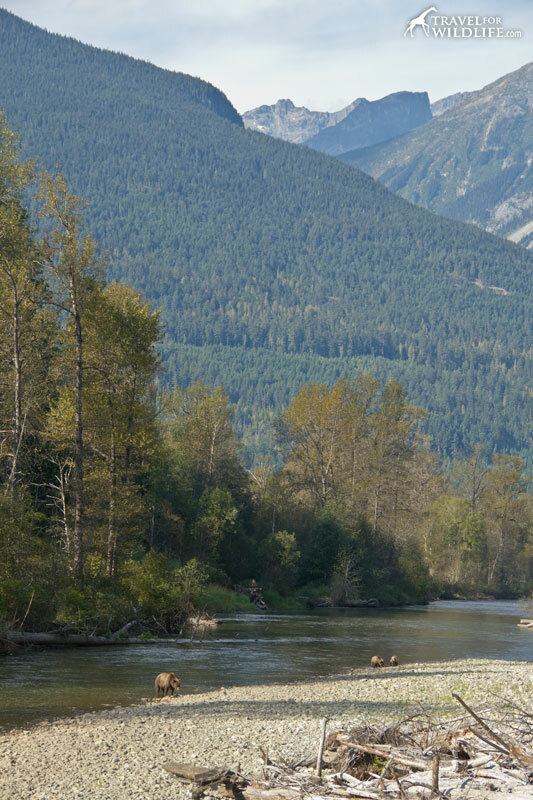 Yeah, British Columbia is a great place for wildlife adventures! It’s been an incredible year for sure! I’ll never forget the belugas, so adorable! These are all such amazing experiences! It looks like you all had a fantastic year. Thanks for sharing!